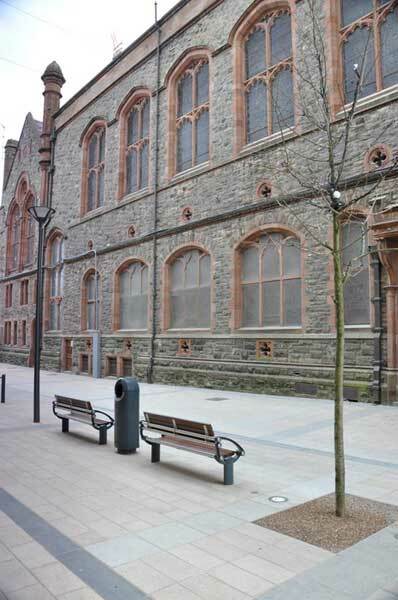 Formerly used by contractors FP McCann Ltd as a site compound for the Derry City Centre Public Realm project, the regeneration of the site involved the partial reinstatement of a car park area and landscaping works. 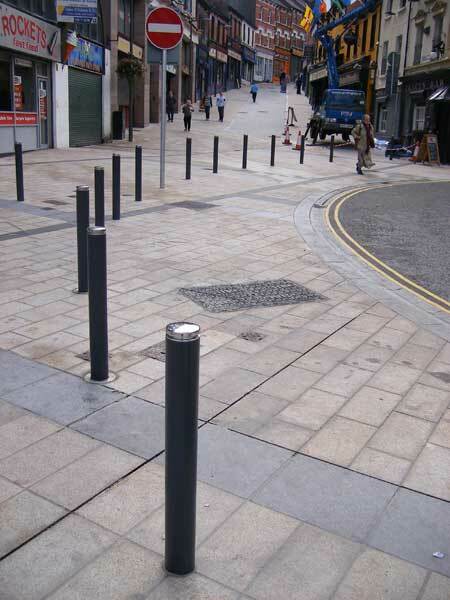 This £148,000 project was designed through partnership working by the City Council landscape architects and officers from North West Development Office and was delivered by the Department’s Civil Engineering colleagues. 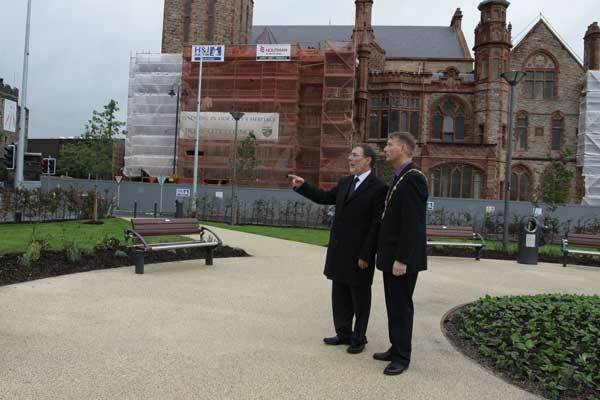 The landscaped area has been laid out in lawned sections, stocked with native trees, beech hedging around the perimeter and seasonal planting in beds. 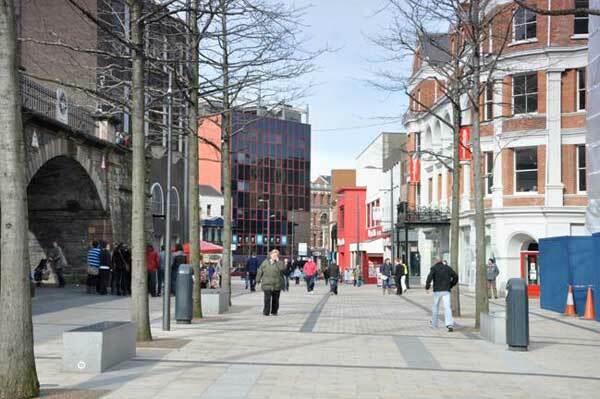 Four resin bound gravel pathways intersect the planted area to provide both access to and from the 54 spaces provided in the adjacent car park and an area for seating and lighting. 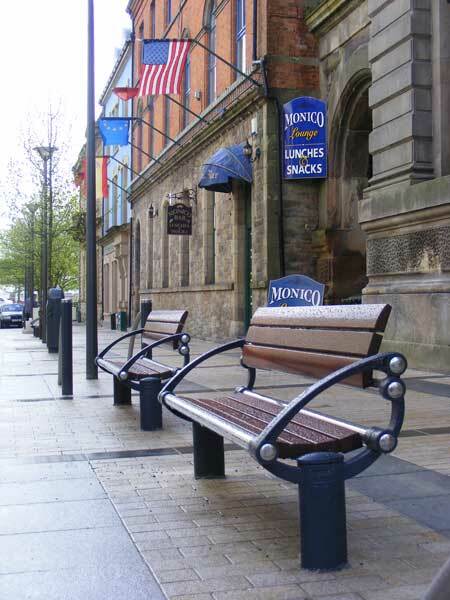 Hartecast’s high quality Public Realm Street Furniture was extensively used across this site and further enhanced the continuation of the City Centre’s overall public Realm £8M project and which in now home to many other Hartecast products.